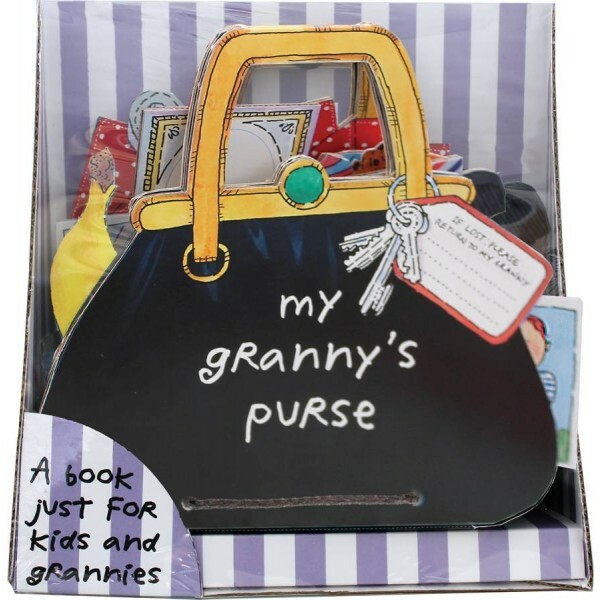 The totally brilliant My Granny's Purse is one of those special products that every child just adores. Shaped just like the real thing, My Granny's Purse takes children on an interactive journey through their Gran's life, and the things she keeps in her purse. There are lots of quirky and charming surprises on every page, with pull flaps, secret compartments, turn wheels and loads more, making this a charming, sweet and sometimes quite touching book that's the perfect way for children and the adults in their life to spend an enchanting afternoon together. This is a wonderful, beautifully made, brilliantly conceived interactive toy that will absolutely delight anyone lucky enough to receive it. With lots of quirky, often hilarious interactive treasures to find, it's a toy that will continue to captivate little hands, over and over again. My Granny's Purse can also be a great travelling toy - it's perfect for keeping children's hands (and minds) occupied in restaurants, planes or long car rides.